Northolt and Ruislip are old settlements; both are recorded in the Domesday Book. In the twentieth century they both were built up mainly as housing. And, to complement the developments, open spaces and parks were provided. Islip Manor Park was opened in 1929, when the houses, many of them bungalows, were built. It was built on the site of Islip Manor and there are a good number of trees and shrubs, some of which remain from the grounds of the Manor House. There is a small, more formally planted area with seats. The boundary of the cricket pitch goes through a hollow tree! There is various play equipment and the park is home to a children's centre. There is a small nature conservation area in the park. The Lord Halsbury Memorial Playing Field is to the north of Islip Manor Estate, which is centred on Arnold Road. The field was opened in 1966 and is used for a range of sport. As well as its sporting value, its mature hedgerows are important habitat. The field connects with Islip Manor Meadows Nature Reserve to the west of the Playing Field. The Meadows extend into the housing estate, and the whole area is of nature conservation value. Northolt Park is in the centre of the Race Course Estate on the site of Northolt Race Couse which operated between 1929 and 1937. The Council bought the land in 1947 and started building houses to the north of the park in 1951. South of the park has also had housing built on it in the sixties. The estate has wide verges and areas of grass. The park is mainly for play; there is a children's centre with a little bit of formal planting. A mountain bike track runs in a small wooded area. Mandeville Green, opposite Northolt Station, is an area of grass and formal planting. The clock tower commemorates the coronation of George VI in 1937. The Green and the next few locations are part of a countryside park, an extensive area of open space that also runs along the A40 and the canal. Ealing Road runs through an informal but well-kept grassy area with a small stream. 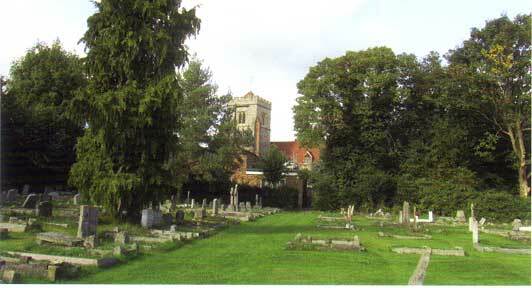 On top of a small hill is St Mary's church, dating from c.1300, it is surrounded by its graveyard. Behind the church is the site of Northolt Manor, a Scheduled Ancient Monument. The layout of rooms is marked with railway sleepers. Part of the moat remains and is, at least seasonally, in water. South of the church and manor is Belvue Park. Now managed for nature conservation, it has good views. The most notable feature is four conical hills. Those are our next stop. The hills of Northala Fields are made from building rubble. The central one has a gentle spiral path, which leads to a viewing space at the top. The park also has wetlands, a fishing pond and a new adventure playground. South of here are two more areas of the Countryside Park; Medlar Fields, more grass and trees, and Rectory Park which has sports facilities. Lilac Tree Park is across Church Road. This and the surrounding houses are on the site of Lilac Tree Farm bought for housing in 1936. It has bunds rather than fences where it meets road. There is grass, trees, play equipment, a small wooded area, and a fenced-off area reverting to scrubland. Now on to South Ruislip, from where I went looking for some local recreation grounds. In an area of housing where all the properties have generous gardens, open space for play is more important than decorative planting. They are probably not worth visiting, but the Modernist station is. It has a relief mural of the experience of commuting by artist and sculptor, Henry Haig (1930-2007). The open spaces are Bourne Farm Playing Fields, Bourne Avenue, which has a well-kept hedge round it and two areas of play equipment. Long Drive, which is a bit more park-like with trees and a few shrubs and Deane Park, which is the home of the South Ruislip Community Centre. There is a small garden by the Centre that commemorates those who died at Dunblane in March 1996; it looks a bit sad, perhaps, 20 years on, refurbishment would be a good idea. Brackenbridge Drive has a very large area of grass with a few trees at the corners and a few new trees recently planted. It was laid out by the developers. On the north edge is what looks like the site of a public toilet, but it has never been a managed park, so the structure is a mystery. On Field End Road is a large open field, but it is at the top of a small hill and sloped in all direction. Its northern boundary is the Yeading Brook, which is easier to find in Roxbourne Park on the other side of the Brook. 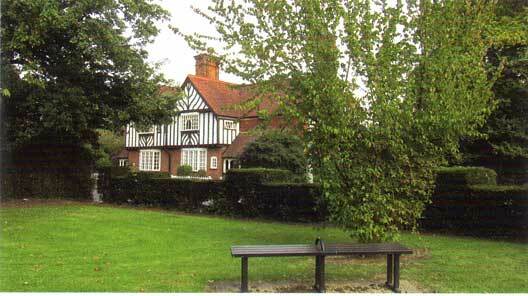 Roxbourne Park is in Harrow and the Willow Tree Wander follows the Brook from North Harrow to Ickenham. The park is home to a narrow gauge railway (seven and quarter inch gauge) that can be ridden at weekends, and some even smaller gauges for model trains. The Willow Tree Wander can be followed to Ruislip Gardens Park. There is play equipment on the walk and in the park. St Martin's Church, Ruislip, dates from the thirteenth century and is usually open. It has been altered over time but there are original wall paintings and there is a lot of stained glass from the last 200 years. The well-kept graveyard to the south has mainly recent graves, but there are a few chest tombs to the north. Next to the church is Church Field Garden. This is more typically a park with a formal entrance, rose garden and ornamental planting by the play area. There are many fine trees. Opposite the church is the War Memorial, which was moved to this site in 1976 from a muddy area off the churchyard. The 1939-45 names were not added until 1980. The drinking trough was moved here in 1970. Beyond this is the site of Ruislip Manor Farm. 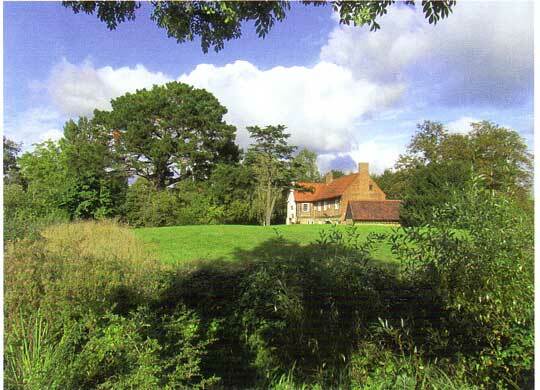 The sixteenth-century farmhouse is in the bailey of Ruislip Castle, the motte and part of the moat remain. The Great Barn, dating from the thirteenth century, is used for events and the smaller sixteenth-century Little Barn was converted into a library in 1937. The large horse pond remains. The stables are studios and the (rebuilt) cow barn is a gallery and café. Further north in a planted wooded area is the Winston Churchill Hall, a useful if not very graceful building. At the top of Bury Street is Breakspeare Crematorium. This is a purpose-built crematorium opened in 1957. There are two chapels, the East Chapel is the original one, the second, a circular structure was added in 1972. The area for viewing the flowers is between these. There are a wide variety of gardens of remembrance with different degrees of formality and styles of planting. There is also a wooded area for woodland scattering of ashes. Ruislip Lido was built in 1811 as a feeder reservoir for the Grand Junction Canal (later the Grand Union Canal) becoming a lido in 1933. It still functions as such, but there is no sailing and swimming is not permitted in the open water - there is a purpose-built watersplash area for children. An artificial sandy beach is also popular with children. There is gym equipment, and a measured running trail. The Lido is home to Britain's longest 12-inch gauge railway. Much of the site is wooded and there are several other woods adjacent. These were all part of the ancient Middlesex Wood, originally maintained for timber and charcoal; they are now managed for nature conservation. Eastcote House Garden, strictly not in Ruislip, is well worth a visit. The house has gone, but the stable has been converted for events and has a café. 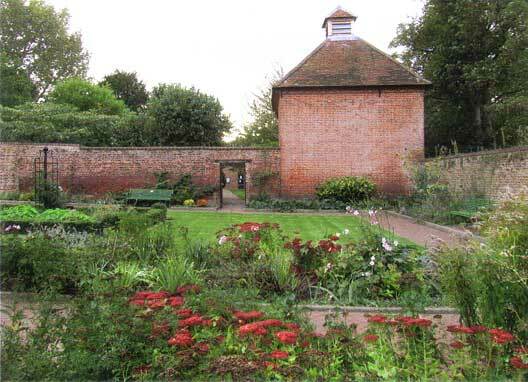 The dovecote remains and the walled garden is now planted with flowers rather than the original vegetables. It has the best planting of this walk. The Queen Elizabeth herb beds commemorate the Queen's Silver Jubilee and have been refreshed for the Golden Jubilee. In the wider park there are many old trees. The River Pinn runs at the northern border. The Celandine Walk goes along the river from Pinner to the Grand Union at Cowley. In Ruislip the path and the river goes through the King's College playing fields. Over the road is Haydon Park on the site of Haydon Hall. The Hall, originally built in 1630, was extended in the 1860s with the addition of workers' cottages designed by the architect and landscape architect, Harold Peto. Middlesex County Council bought the house and grounds in the 1930s intending to make it the new civic centre, but war intervened delaying work, the house deteriorated and was eventually demolished in 1967. There is a cricket field used by Eastcote Cricket Club, and there are some good old trees and a lake remaining from the heyday of the grounds. Pretty Corner on the corner of High Street and Fore Street has been an open space since 1936. It has a formal castellated hedge and a bench containing geological samples, put together by the local geological society. In Eastcote Road is Highgrove, the grounds of a large house. It is open space that is home to a ground-breaking social housing project designed in the 1970s by Cullinan Studio, there is also a leisure centre with swimming pool, and a school. An alleyway leads to Warrender Park, which was also part of the Highgrove Estate. Its main entrance is in Myrtle Road where there is a formal garden. There is also an entrance from Lime Grove where the gates from a London Art Gallery of c.1870 were re-erected in 1935; the bulk of the park comprises grass, trees and play equipment. Our last park is Shenley Park; note the mural on the side of a shop in Victoria Road indicating the main entrance. It was opened in 1937 and, unlike most of the parks we have seen, it is adjacent to the shopping area. The park follows the traditional pattern of formal beds at the entrance, grass and play equipment elsewhere. The tree planting is dense against the railway. Although most of the parks, like the housing, are twentieth century, some of the sites have a rich history and some have picked up a bit of history on the way. With two small-gauge railways and two long walks, and approaching 1000 years of history there is plenty to see and do.